Statistics is the main science by which researchers validate the results of scientific work, and the choice of an inadequate statistical method may lead to conclusions that are considered questionable by reviewers. This study had the objective of describing the characteristics of the statistical methods used in the papers published in Acta Scientiarum. Agronomy from 1998 to 2016 as part of a a critical analysis of the journal to pinpoint possible failures in the application of these methods. All scientific articles (n = 1,237) published in the journal were surveyed, of which 54.1% addressed areas of crop production. The mean comparison methods were the most commonly used (75.5%) and, consequently, they represented the highest proportion of errors (60.8%) of the authors in the journal. Banzatto, D. A., & Kronka, S. N. (2013). Experimentação agrícola. Jaboticabal, SP: Funep. Barbin, D. (1993). Componentes de variância. Piracicaba, SP: Esalq/USP. Beaver, R., Mendenhall, W., & Reinnhmuth, J. (1974). Statistics for management and economics (2nd ed.). North Scituate, MA: Duxbury. Bertoldo, J. G., Coimbra, J. L. M., Guidolin, A. F., Mantovani, A., & Vale, N. M. (2008). Problemas relacionados com o uso de testes de comparação de médias em artigos científicos. Revista Biotemas, 21(2), 145-153. Bezerra Neto, F., Nunes, G. H. S., & Negreiros, M. Z. (2002). Avaliação de procedimentos de comparações múltiplas em trabalhos publicados na revista Horticultura Brasileira de 1983 a 2000. Horticultura Brasileira, 20(1), 5-9. Callegari-Jacques, S. M. (2003). Bioestatística: princípios e aplicações. Porto Alegre, RS: Artmed. Campos, H. (1983). Estatística experimental não paramétrica. Piracicaba, SP: Esalq/USP. Cantuarias-Avilés, T., & Dias, C. T. S. (2008). Utilização de técnicas estatísticas em duas revistas de fruticultura. Ciência Rural, 38(8), 2366-2370. Cardellino, R. A., & Siewerdt, F. (1992). Utilização adequada e inadequada dos testes de comparação de médias. Revista da Sociedade Brasileira de Zootecnia, 21(6), 985-995. Carmer, S. G., & Walker, W. M. (1985). Pairwise multiple comparisons of treatment means in agronomic research. 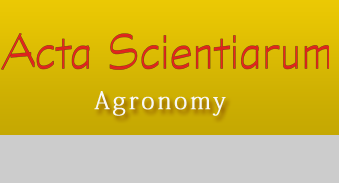 Journal of Agronomic Education, 14(1), 19-26. Conceição M. J. (2008). Leitura Crítica dos Dados Estatísticos em Trabalhos Científicos. Revista Brasileira de Anestesiologia, 58(3), 260-266. Ferreira, D. F. (2008). Estatística multivariada. Lavras, MG: UFLA. Fisher, R. A. (1971). The design of experiments. New York, NY: Hafner Publishing Company. Glickman, M., Ittenback, R., Nick, T. G., O’Brien, R., Ratcliffe, S. J., & Shults, J. (2010). Statistical consulting with limited resources: applications to practice. Chance, 23(4), 35-42. Guo, J., Alemayehu, D., & Shao, Y. (2010). Tests for normality based on entropy: divergences. Statistics in Biopharmaceutical Research, 2(3), 408-418. Lee, J. K. (2010). Statistical bioinformatics: for biomedical and life science researchers. Hoboken, NJ: Wiley-Blackwell. Lopes, S. J., & Storck, L. (1995). A precisão experimental para diferentes manejos na cultura do milho. Ciência Rural, 25(1), 49-53. Lúcio, A. D., Lopes, S. J., Storck, L., Carpes, R. H., Lieberknecht, D., & Nicola, M. C. (2003). Características experimentais das publicações da ciência rural de 1971 a 2000. Ciência Rural, 33(1), 161-164. Montanhini Neto, R., & Ostrensky, A. (2013). Assessment of the use of statistical methods in articles published in a journal of veterinary science from 2000 to 2010. Acta Scientiarum. Technology, 35(1), 97-102. Perecin, D., & Malheiros, E. B. (1989). Procedimentos para comparações múltiplas. Lavras, MG: UFLA. Petersen, G.R. (1977). Use and misuse of multiple comparison procedures. Agronomy Journal, 69(2), 205-208. R Core Team. (2017). R: a language and environment for statistical computing. Vienna, AU: R Foundation for Statistical Computing. Santos, J. W., Moreira, J. A. N., & Beltrão, N. E. M. (1998). Avaliação do emprego dos testes de comparação de médias na revista Pesquisa Agropecuária Brasileira (PAB) de 1980 a 1994. Pesquisa Agropecuária Brasileira, 33(3), 225-230. Silva, A. C., Wanderley, C. A. N., & Santos; R. (2010). Utilização de ferramentas estatísticas em artigos sobre Contabilidade Financeira – um estudo quantitativo em três congressos realizados no país. Revista Contemporânea de Contabilidade, 1(14), 11-28. Snedecor, G. W., & Cochran, W. G. (1967). Statistical methods (6th ed.). Ames, Iowa: Iowa State University. Statistical Analysis System [SAS]. (2017). User's guide. Statistic. Cary, NC: SAS Institute Inc.
Storck, L. (2000). Experimentação vegetal. Santa Maria, RS: UFSM. Steel, R. G. D., & Torrie, J. H. (1960). Principles and procedures of statistics. New York, NY: McGraw Hill Book. Vieira, S. (2006). Análise de variância (ANOVA). São Paulo, SP: Atlas. White, S. J. (1979). Statistical errors in papers in the British Journal of Psychiatry. British Journal of Psychiatry, 135(1), 336-342.